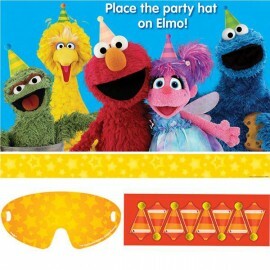 Mini Shape Elmo Full Body (Inflated) Foil Balloon (Supplied airfilled on balloon cup & stick) Each..
Sesame Street Luncheon Plates Elmo & Cookie Monster 18cm Paper Pack of 8..
Sesame Street Party Game - Place the Hat on Elmo 1 x Plastic Poster, 1 x Paper Blindfold & 8 x Stickers (For 2-8 Players) Each.. 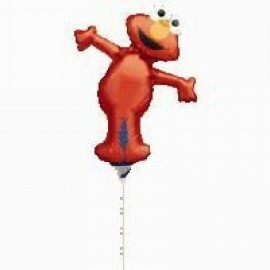 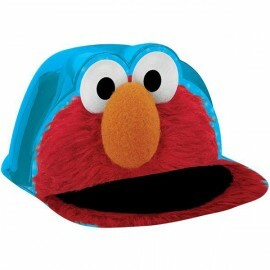 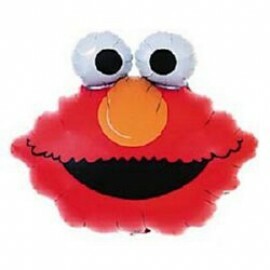 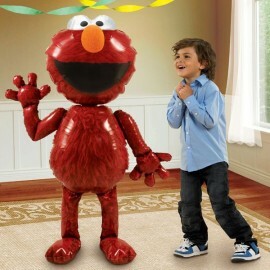 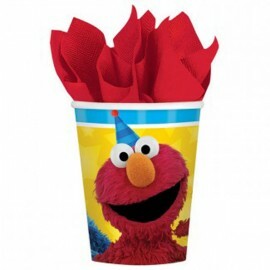 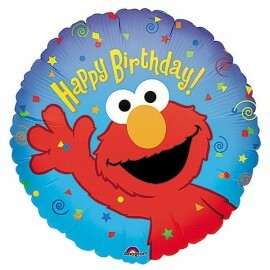 Shape Elmo Head 51cm x 46cm Foil Balloon (Self sealing balloon, requires helium inflation) Each.. 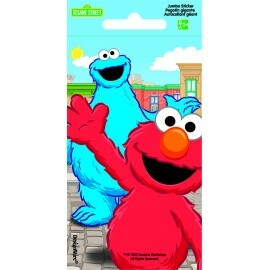 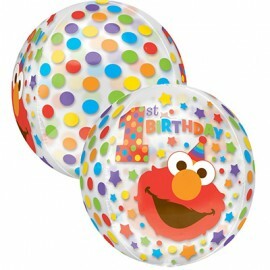 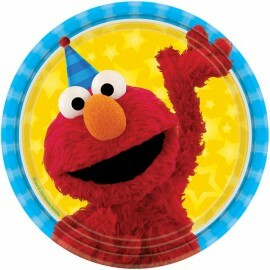 Shape Orbz Sesame Street 1st Birthday Elmo 38cm x 40cm Clear Balloon See Thru (Self sealing balloon, requires helium inflation) Each..